I signed up for a few things this year to make this season a little more special, one of those things was a Christmas Ornament Swap that was held at oneartsymama, I got paired up with www.sewingbarefoot! A questioner was sent to both parties, to help one another get a better perspective on each others likes and preferences. 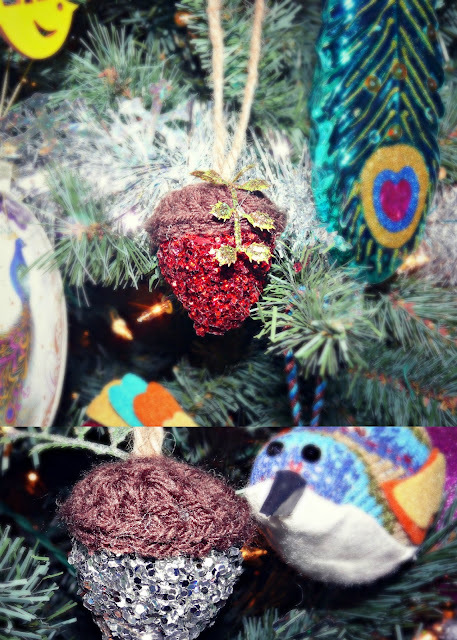 Based on that info, I received three awesome hand made Glittery acorn ornaments and they are perfect in every way! I adore them, they fit in nicely with my other decor. 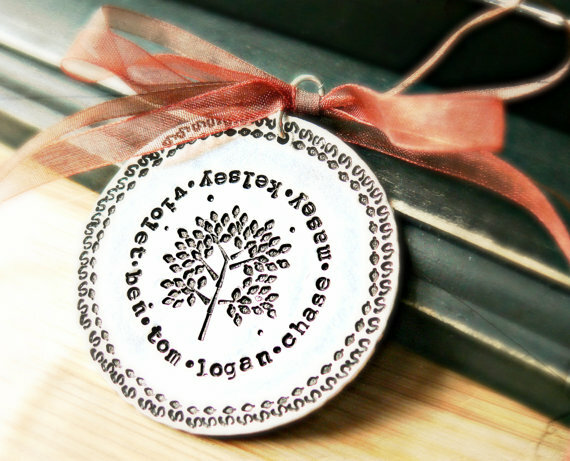 In exchange I sent my partner a hand stamped personalized tree ornament from my Etsy shop yourcharmedlife. 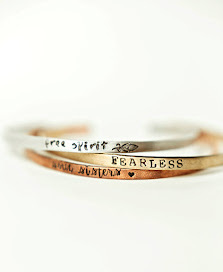 That is so SO gorgeous!! I'm sure she just loved it! The ornament swap sounds really fun. I signed up for a handmade gift exchange, but I didn't get to take part in any questionairre type thing, which would have been helpful. We had no idea what to make, so we ended up making a necklace and SunCatcher, which we'll be sending out today! How fun! I love holiday-related swaps. I participated in one that just sending a general gift (something small, of course) and it was so cute! Glad you enjoyed this. I LOVE my ornament :) thanks again! !